Home » Our Doctors » Victoria Colaurdo, O.D. 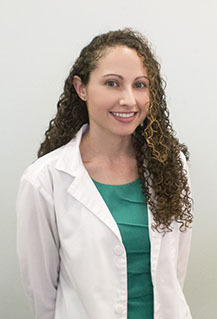 Dr. Victoria Colasurdo is originally from New Jersey and moved to Florida during high school where she graduated from the Land O’Lakes International Baccalaureate Program. She then went on to receive her Bachelor of Science in Biomedical Sciences from the University of South Florida. In 2014, she completed her four-year optometric training from the Illinois College of Optometry in Chicago. During her training she obtained a wide array of exposure in contact lens fitting, pediatrics, ocular disease and low vision. Through these experiences she is knowledgeable in the treatment and management of ocular diseases. She has had the opportunity to rotate through the Chicago Public Schools Eye Clinic, Chicago Lighthouse for the Blind, Mid-Florida Eye Center in Mount Dora, Florida and Newington VA Hospital in Connecticut. Currently she partners with TLC Lasik Eye Surgery Center and St. Luke’s Eye Institute as a co-managing doctor for both refractive and cataract surgery. Dr. Colasurdo’s professional interests include being a proponent of patient education concerning the importance of maintaining ocular health, as well as contact lens fitting. She is a member of both the American Optometric Association and Florida Optometric Association. Her personal interests include kayaking, yoga and weight training, as well as dabbling in the visual arts such as creating stained glass, pottery and painting.